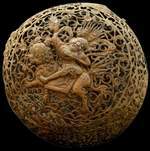 Description: This sphere (diameter: 25 cm) comprises two interlocking halves. 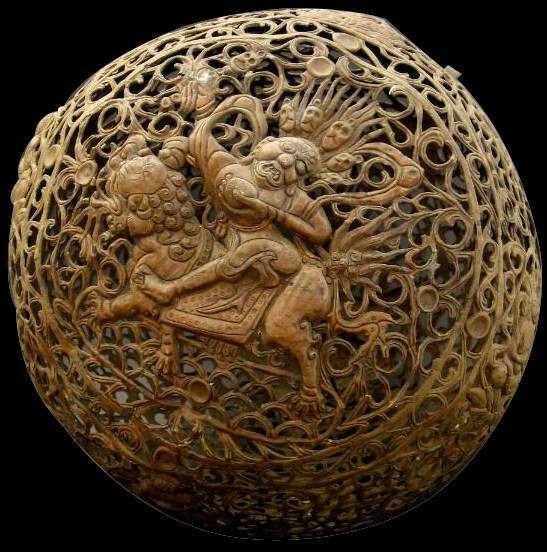 It has two large images of a wrathful deity, probably Palden Lhamo, the only female among the eight great dharmapala, amid open-cut vegetal scrollwork. 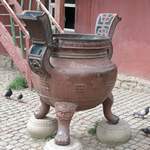 Eight images of a smaller deity who sits on a throne of plantain leaves are also present. 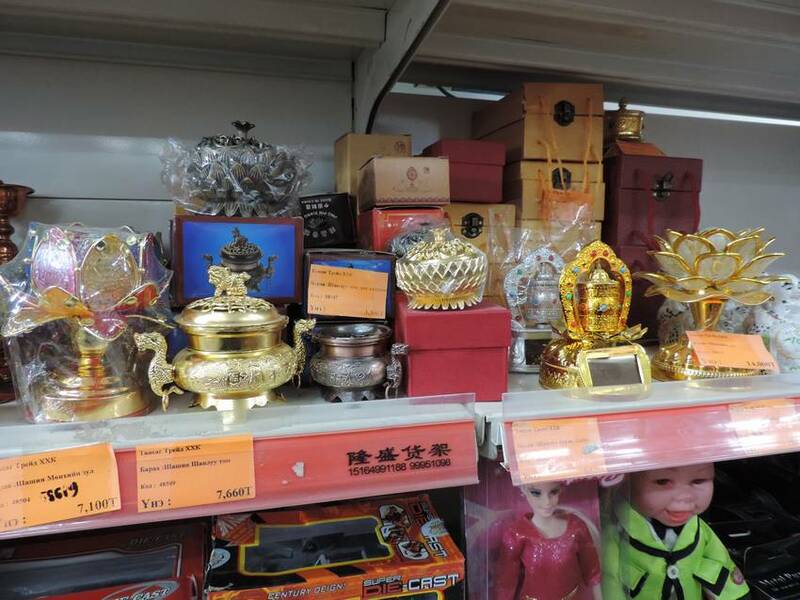 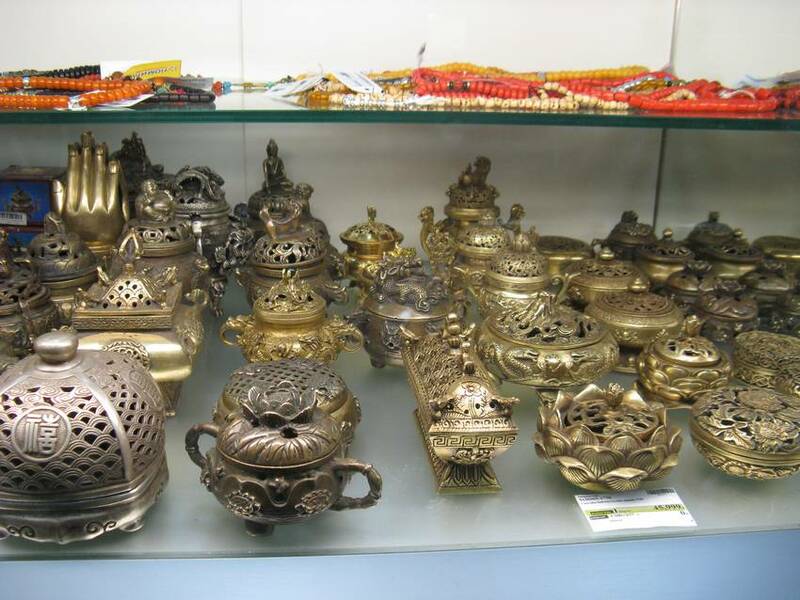 Description: Various incense burners on sale in this huge shopping building. 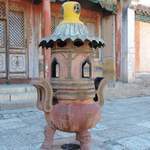 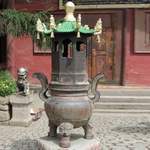 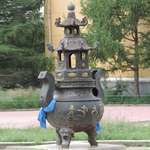 Description: Incense burner in front of Megjid Janraisig temple. 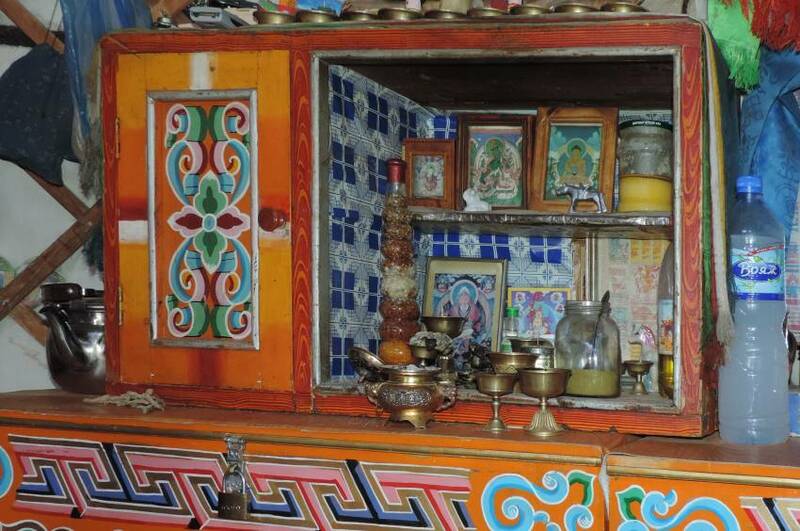 The monastery was constructed by order of the 5th Jebtsundampa in 1809. 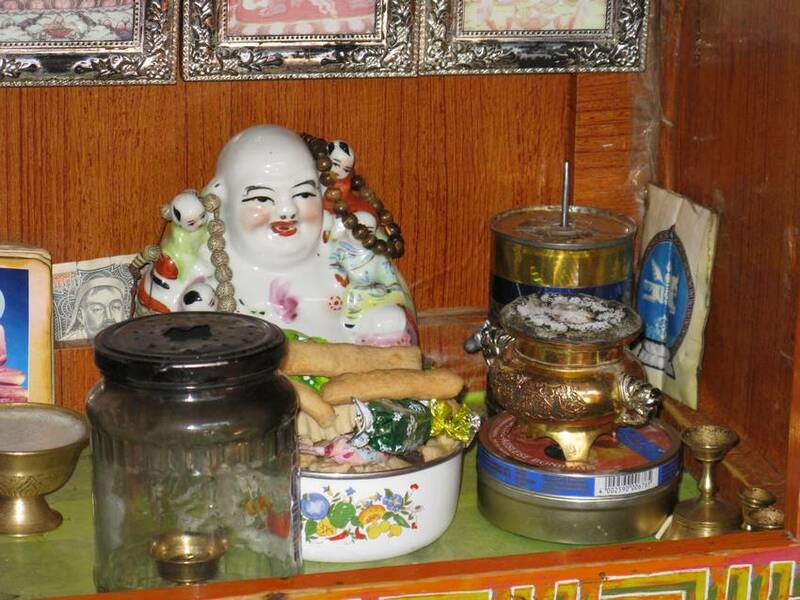 Description: The monastery was constructed by order of the 5th Jebtsundampa in 1809. 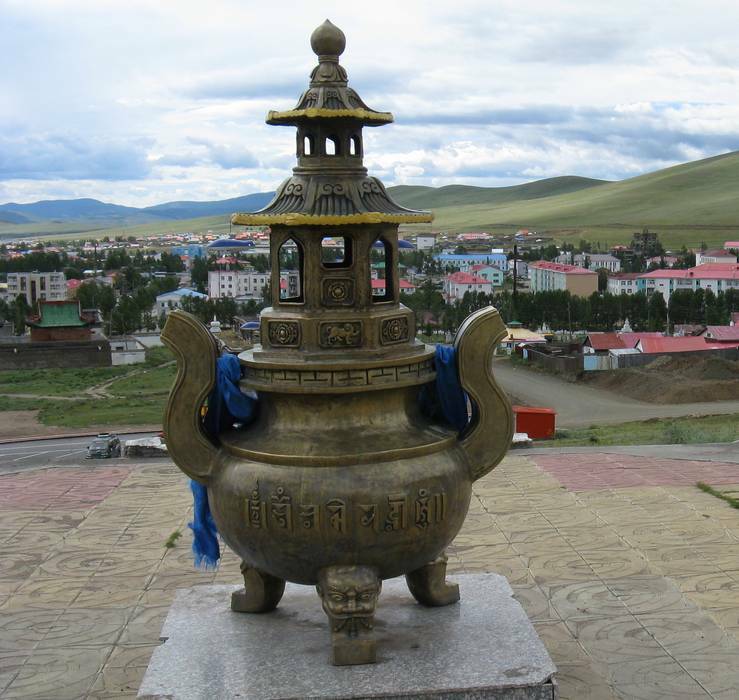 Description: Incense burner on a hill (Bulgan Uul) behind Tsetserleg Museum in Arkhangai province. 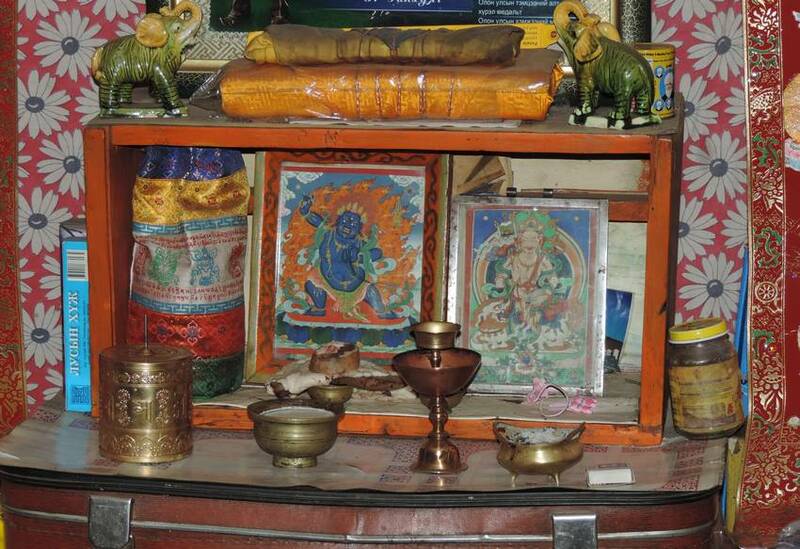 The museum is located in an old temple built in 1586. 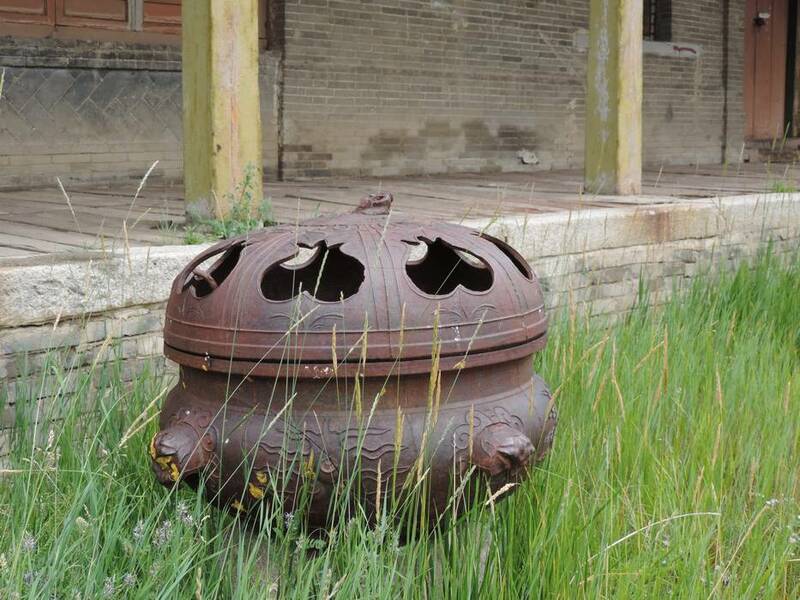 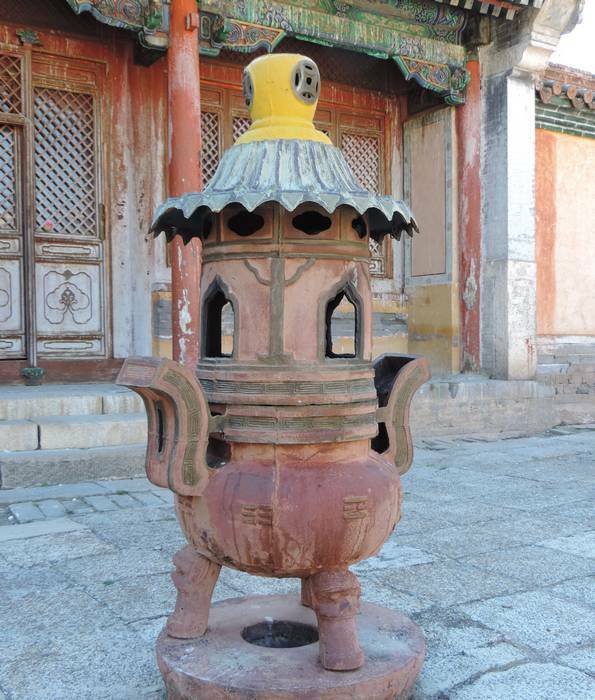 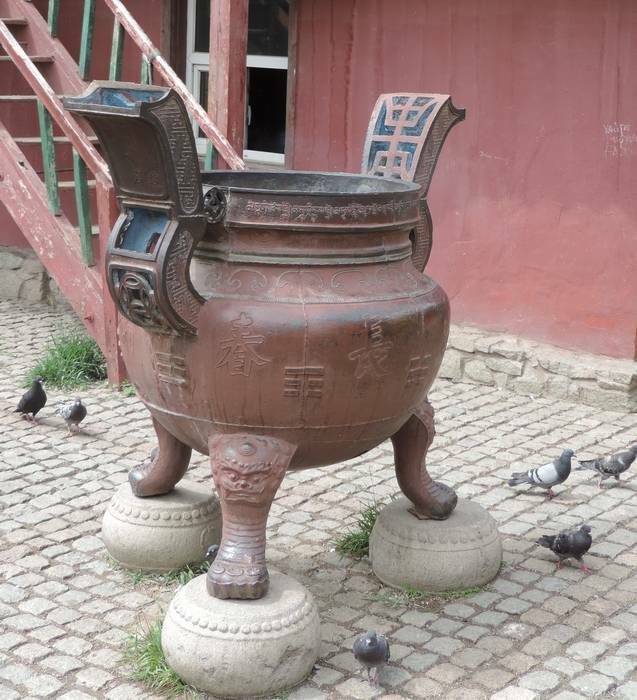 Description: Unused incense burner in Tsetserleg Museum in Arkhangai province. 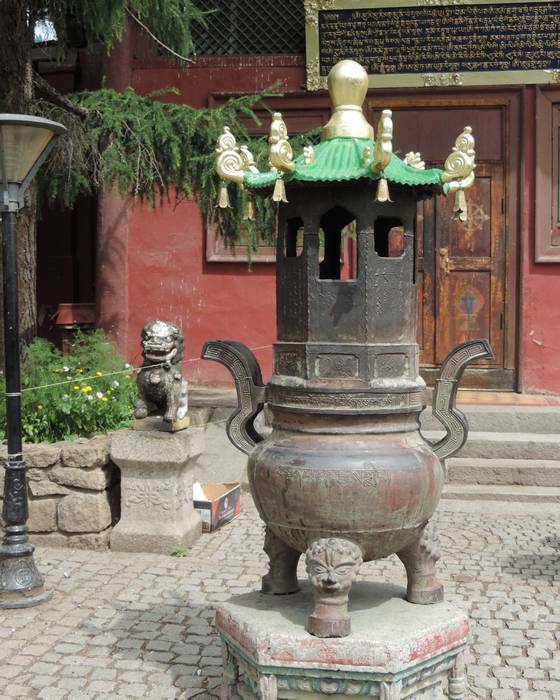 The museum is housed in an old temple built in 1586. 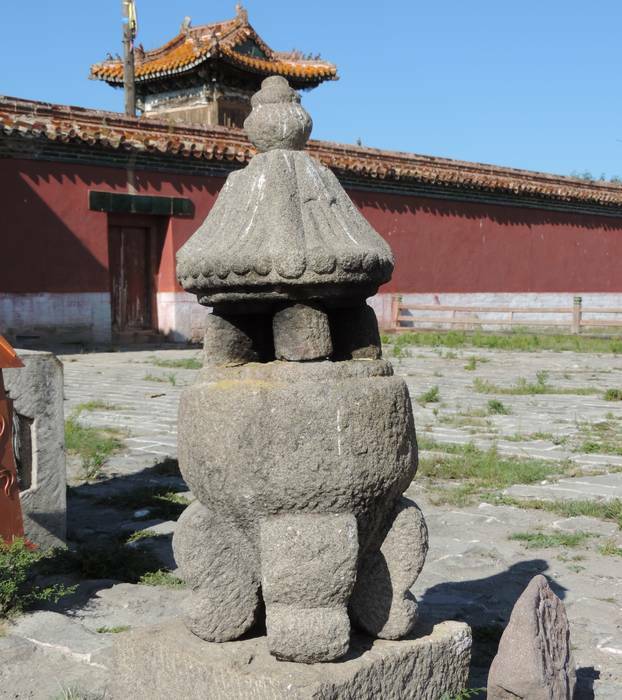 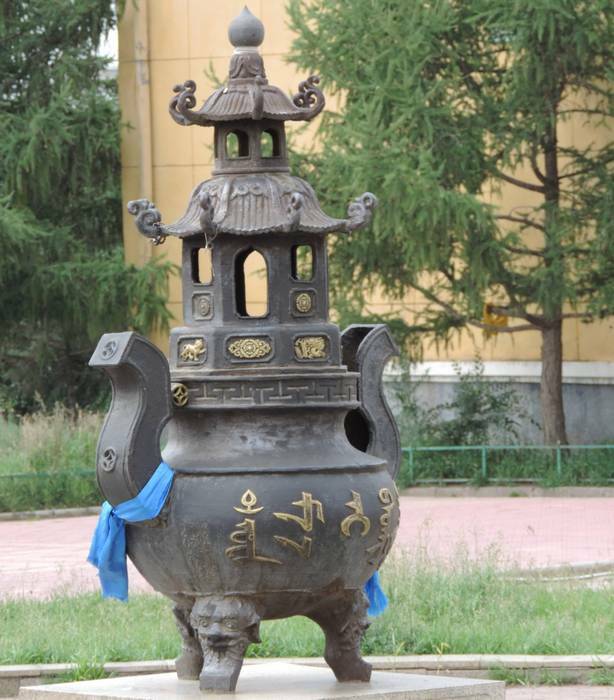 Description: Stone Incense burner in Amarbayasgalant Monastery (Selenge province), one of the three largest Buddhist monastic centers in Mongolia. 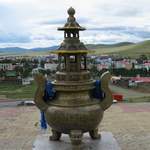 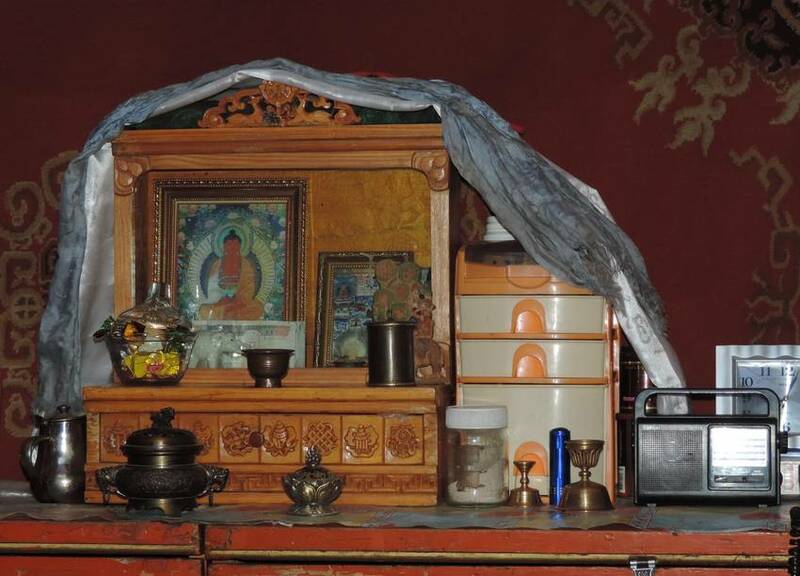 Description: Incense burner in Amarbayasgalant Monastery (Selenge province), one of the three largest Buddhist monastic centers in Mongolia.